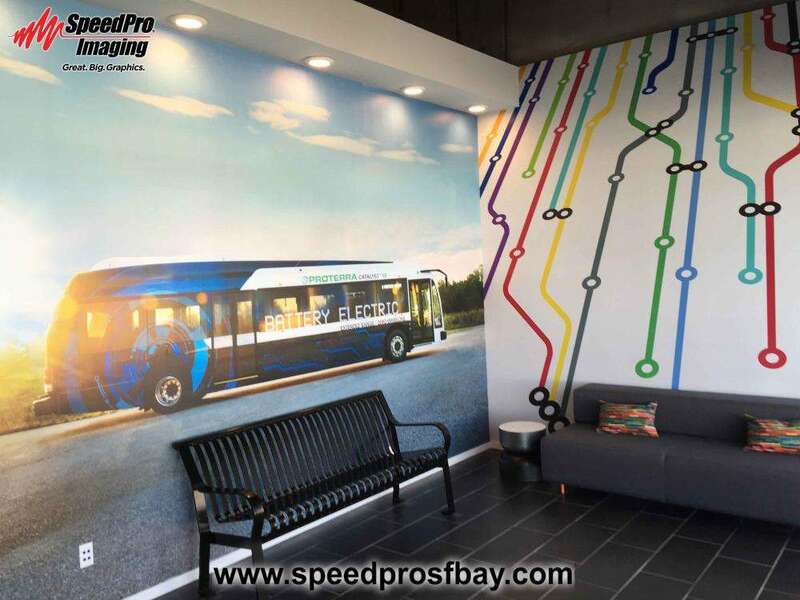 Unique environmental graphics can help build your identity and freshen up your office space. At SpeedPro Imaging of SF Peninsula, we’re more than prepared to handle your requests. As a part of the nation’s biggest large format graphics provider, we’ve got the tools. resources and practical experience to create your vision and match your desired tone. 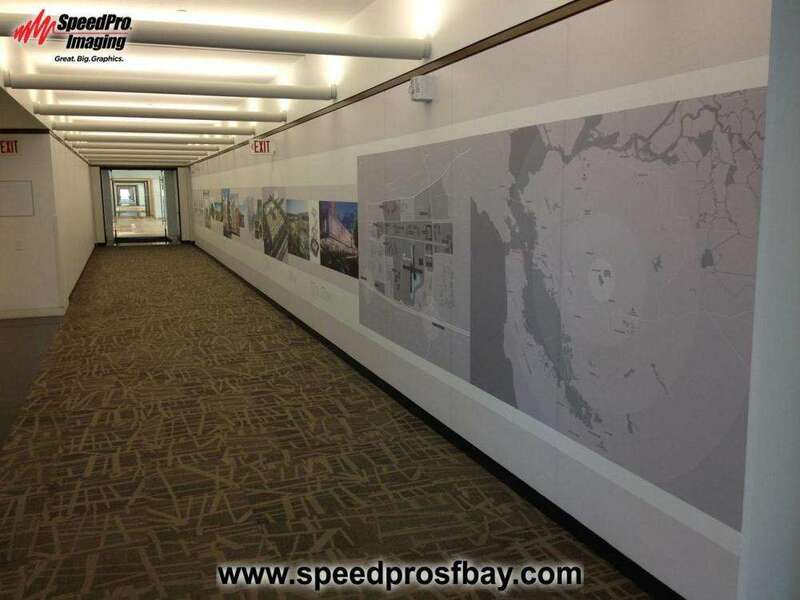 Whether you need a dimensional logo sign or a wall mural for the reception area, SpeedPro has the experience and the production capability to work hand-in-hand with you. We take pride in maintaining a collaborative process throughout our partnership, from start to finish. We’ll listen to all of your input and offer solutions, not excuses! Stunning environmental graphics. Designs the whole office will adore. Custom Wall Art: We have a variety of wall art solutions. 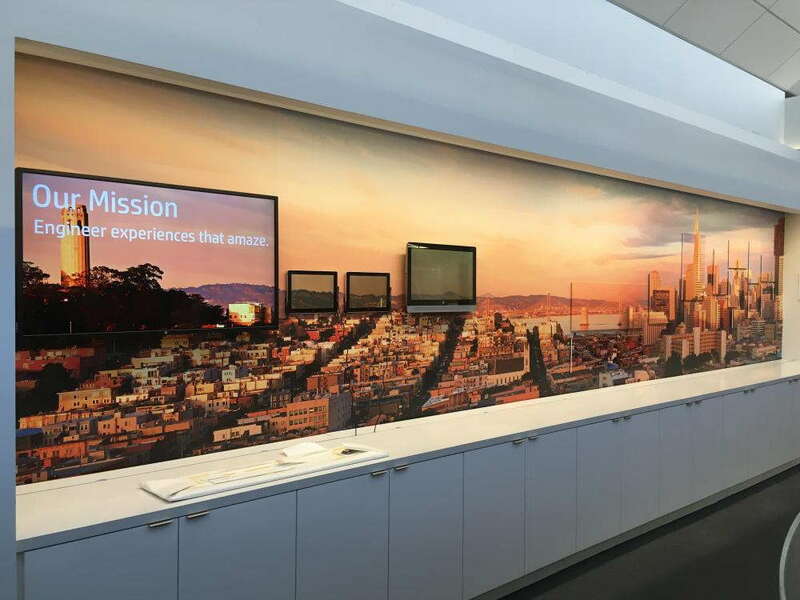 From SEGs (Silicone Edged Graphics – stretched fabric that presses into the channel of an aluminum frame) to Gallery Wrap Canvas to glossy prints on acrylic – we have the variety to fit your aesthetic. Acrylic Lettering: Dimensional acrylic lettering is a popular choice for office branding. It is polished, bold, and literally jumps off the wall at you. Its versatility in color, depth, and shape make it an excellent choice for any logo. 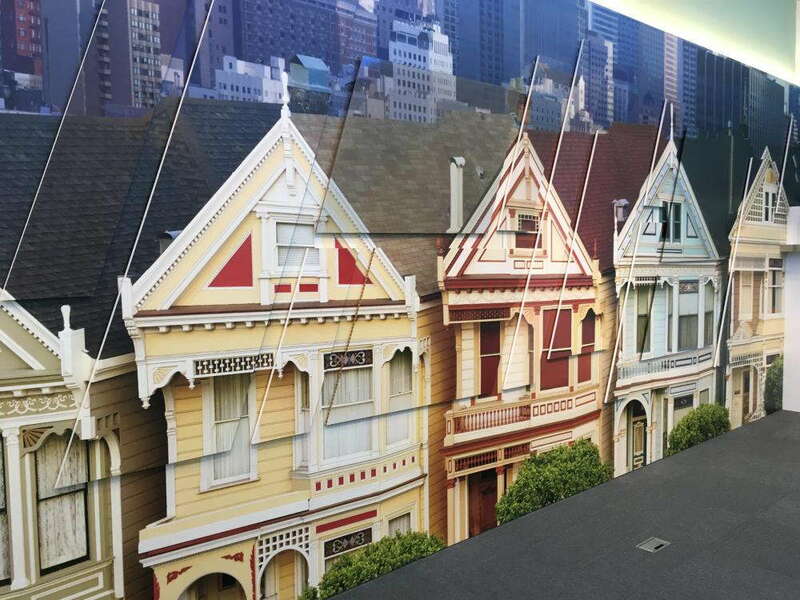 Wall coverings: Liven up your work space walls with vibrant, printed wall graphics. We have many varied textures and materials we use for digital wallpaper prints. We are also able to visit you location to take measurements and inspect the install surface. Glass Films: In many newer office buildings, glass walled conference rooms are very common. 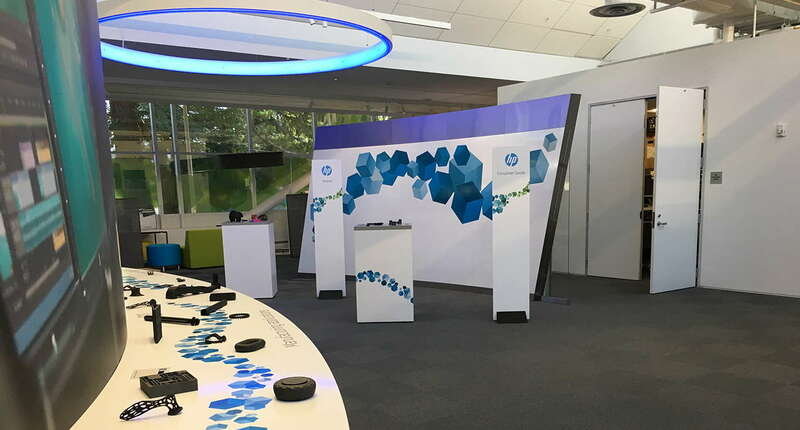 With our wide array of vinyl graphics, perforated films, clings, and frosted vinyls – we can offer many elegant and modern solutions. 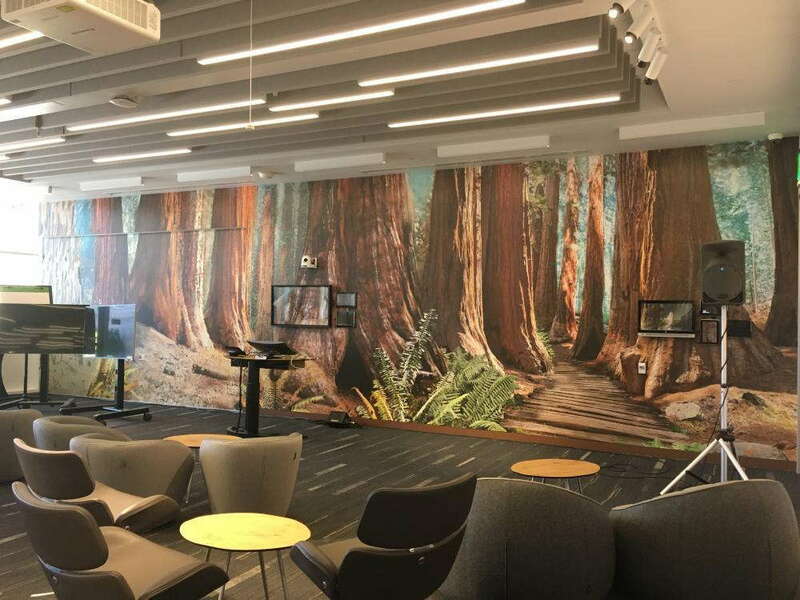 If you want to initiate the process of a total office makeover, you’ll be happy to know that we provide custom environmental graphics to businesses throughout San Mateo, San Francisco, Santa Clara and Santa Cruz counties. Reach out to our studio today to set up your consultation with our team! If you’d like to visit our studio, remember that we’re located on Taylor Way, just off US 101 in San Carlos. Always a pleasure to work with the team at speedpro! Gillian is responsive and clear, and manages to get big projects done on tight schedules with care. Timely and courteous service! Very cool operation! Chris Simmons provided excellent customer service! He was responsive, friendly, accountable, and incredibly professional! He went above and beyond.